Capital One is one of the most respected major credit card issuers theses days, offering a number of different credit card offerings for people with differing credit scores. The capital One platinum MasterCard is one of the offerings that those with fair credit can usually obtain. This is a very basic credit card, no reward points, no cash back, but it does have reasonable interest rates – 10.9%-20.9%APR depending on just how “fair” your credit is – and there are no annual or application fees. The application process is easy and if you apply online you do get and approval decision on the spot – a great advantage because who likes waiting to see if they are approved. If you are approved you get to choose your own card design to grace your new Capital One Platinum MasterCard, either from the ones offered by Capital One or by uploading your own image. If a person has recently moved to the US from abroad even if their financial record back home was spotless their credit rating in the US will need to be built up from scratch. This rather unique credit card offering is designed especially to help new immigrants do just that while still getting access to a great rewards credit card. The card comes with a reasonable 24.9% APR (reasonable for a fair credit credit card anyway) and there is no annual fee. The cash back rewards are very good as well. Each and every purchase made on the card earns at least 15 cash back with gas and grocery store purchases netting cardholders 2% cash back every time. Cash back rewards can be redeemed at anytime, either as a check or as a direct deposit to a US bank account. These rewards never expire so those who want to treat their cash back rewards as a kind of ‘savings account” can do so easily. When the card is issued it comes along with access to an online guide to finance and credit in the US called Moneywise and customer service reps are available to help answer other queries those new to the world of US finance might have. This is another no frills credit card offering for those with fair credit but it does carry a real bonus in the form of a lower interest rate than those offered by many similar credit cards – just 7.9-19.9% depending on your credit score. The Orchard Bank Visa card is actually offered in three different forms – Classic, Gold and Platinum. When you apply for an Orchard Bank Visa you will automatically be offered the particular level your credit score qualifies you for. Fees attached to Orchard Bank Visa cards vary according to which card you apply for. Classic cards require payment of a $39 processing fee and a $29 annual fee for the first year which increases to $59 for every year afterwards. The Gold card has a $19 processing fee attached to it but for the Orchard Bank Platinum Visa card no fee is accessed at all. Both cards do however have a $59 annual fee attached to them though. All of the Orchard Bank Visa card offerings are great cards for rebuilding a fair credit rating and as your credit improves your credit line will be increased and those holding Standard or Gold cards may be offered the chance to upgrade once they have established and excellent payment record on their credit card account. If you do happen to prefer MasterCard to Visa all of the same cards are available as MasterCard offerings as well. This Discover card offering for those with fair credit offers many of the great rewards and benefits that Discover cards in general are known for. The cash back rewards attached to the Discover More card are excellent. All purchases are rewarded at a rate of 1% cash back but then certain purchases earn 5% cash back according to a rotating calender which sees certain spending categories become eligible for 5% cash back every month. The Discover More card comes with 0% APR for the first fifteen months of card membership with an 11.9-21.9% APR accessed after that. There is no annual membership fee and when you apply for a Discover More card you can usually obtain an approval decision instantly. If your credit score falls on the lower end of the fair credit score range – around 600-620- you may still have difficulty qualifying for some of the cards mentioned above. The First Premier Bank Platinum MasterCard is designed as an alternative to a secured credit card for people with this kind of lower score. 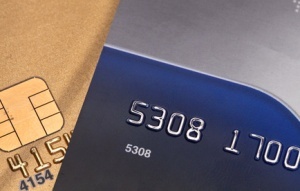 The card has a set $700 credit limit initially and there is a rather large $170.00 annual fee. The interest rate is also very high at 35%,. However, this is a good way to rebuild damaged credit and if the card is used responsibly that can happen more quickly than you might imagine. Because of these higher rates though you should try applying for one of the other cards mentioned here first then consider this card if you are unable to obtain one of the others.